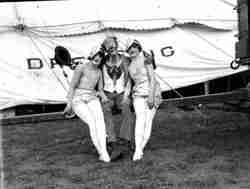 Al G. Barnes Circus was an American circus started by Alpheus George Barnes Stonehouse in 1895. 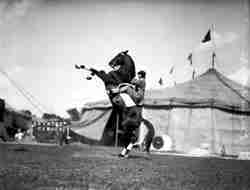 The circus began with only a pony, a phonograph, a stereopticon (a slide projector). The circus was very successful and grew quickly into a large railroad show. 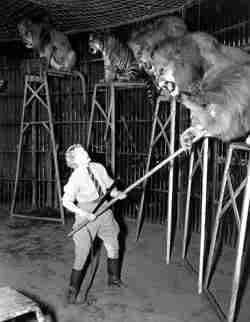 One of the featured performers of the show was the famous female animal trainer Mabel Stark. 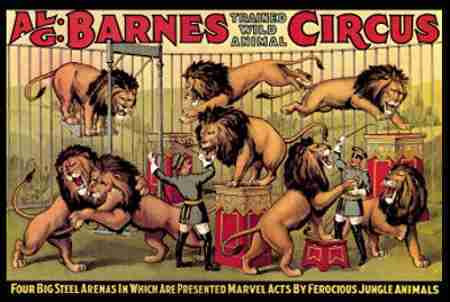 From 1914 to 1919 the circus wintered in Venice, CA., in 1920 Barnes purchased 120 acres between Venice and Culver, CA. for their winter quarters. In 1923 the Al G. Barnes opened a zoo in Venice, the zoo was a combination zoo, roadside attraction (featuring sideshow acts) and winter quarters. 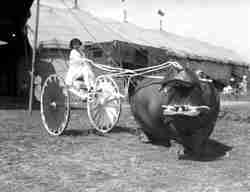 The circus carried a large amount of animals, the show made the claim "more performing animals, than all the other circuses combined". The Al G. Barnes Circus had large male elephant "Tusco", which they advertized as the“the largest elephant ever in captivity”. Tusco gained national attention on May 15, 1922 when it ran amuck in Sedro-Woolley, WA., knocking down fences, telephone poles and destroying a model T Ford. 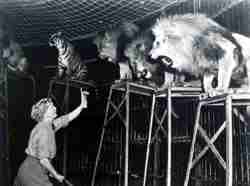 The incident cost the circus $ 20,000 in damages, however the event was invaluable in publicity it generated. 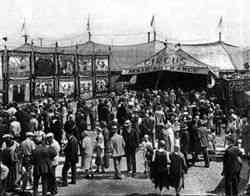 In 1929 the circus was purchased by the American Circus Corporation and was merged with the Sells-Floto Circus, John Robinson Shows, and Sparks Circus. That same year John Nicholas Ringling bought out the American Circus Corporation and merged all the performers into his Ringling Bros. and Barnum & Bailey Circus.